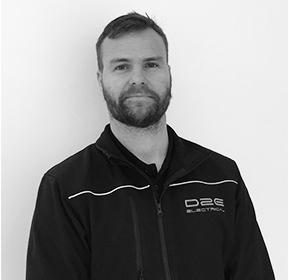 Daniel brings over 20 years of valuable experience across all sectors of the electrical industry. Starting his career in the Southern Highlands of NSW on large high end properties followed by a move to Sydney in the year 2000. Daniel has furthermore gained valuable experience in maintenance work and site management of large commercial projects and now finding his roots again in the residential market. 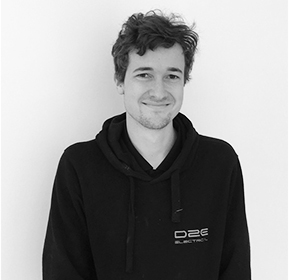 Daniel is the founder and driving force behind D2E. Matt also found his roots in the residential sector of the electrical industry to then further his skills with a move to commercial work in 2010. There he worked with Daniel on large private health projects where he honed his skills as a leader in the field. 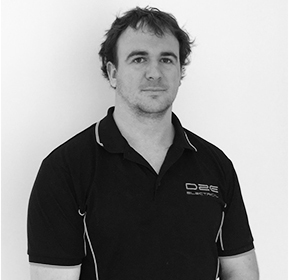 Matt is our second most experienced electrician and brings a wealth of knowledge, skill and reliability to the team. Bronte is the new kid on the block! He commenced employment with D2E in 2016 from part time work and hasn’t looked back. Daniel has seen many apprentices come and go in his 20 plus years in the trade and quotes “Bronte has a very bright future as an electrician”. He is punctual, intelligent, hard working and an amazingly fast learner. Bronte is a very important member of the team at D2E and paths the way for the company’s future. The real boss! Without Naomi D2E would not exist. She carries out the hard work behind the scenes making sure everything is in order and running like a well oiled machine. 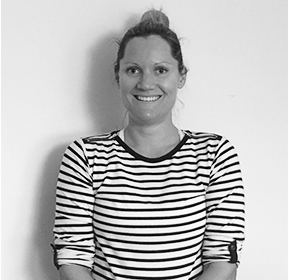 Naomi comes from a successful career in retail management and looks after all accounts and bookkeeping tasks within the business and on top of all of this is studying her degree in Midwifery and is a mother to her and Dan’s two young children Eva an Isaac. “An absolute magician”.